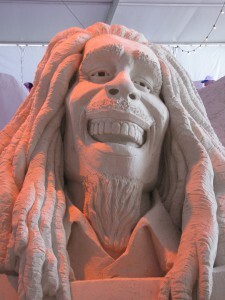 The Pier 60 Sugar Sand Festival at Clearwater Beach was just as much fun as ever. 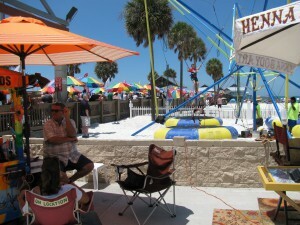 This event brings a lot of additional attractions to the Pier 60 area of the beach, making it an even larger attraction that usual. 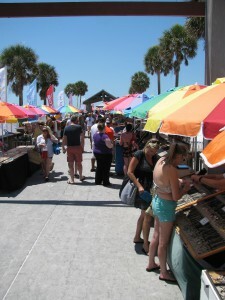 Pier 60 holds a nightly sunset festival where vendors and street performers gather. Visitors can browse the wares, get their picture drawn, or watch a busker perform. 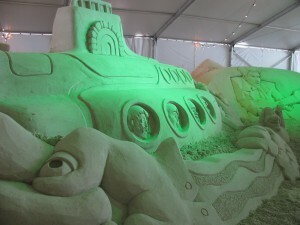 The Sugar Sand Festival brings that fun evening event to the beach all day long for an entire week. The street performers are out in force and the vending booths stay open all day. Added to the day-long entertainment are food vending carts, live music, fireworks, a beer garden, and a children’s play area. 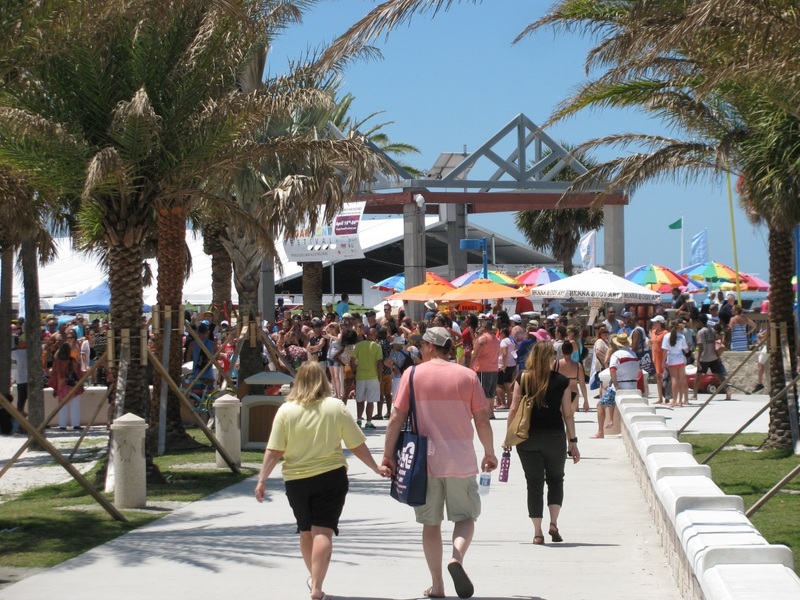 The crowds arrived in force to enjoy the event all week long, turning Pier 60 into the center of a lot of activity. Pier 60 is at the heart of the beach and from it you can reach everything else the island has to offer, most of it within a half mile. Dining, boat rides, rentals of bikes and scooters, dolphin tours, souvenir shops, sunset cruises, and nightlife are all within easy reach. 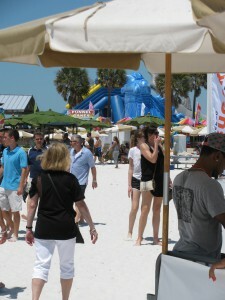 With so many people at the beach, all the attractions operated at full swing. Nothing beats a lively crowd at the beach with tour boats buzzing along the shore, music in the air, and the smell of food wafting by. 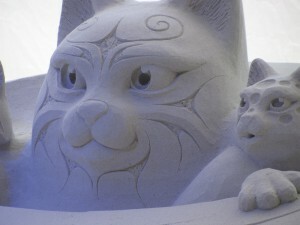 At the center of the event is the large tent containing the sand sculpture walk. 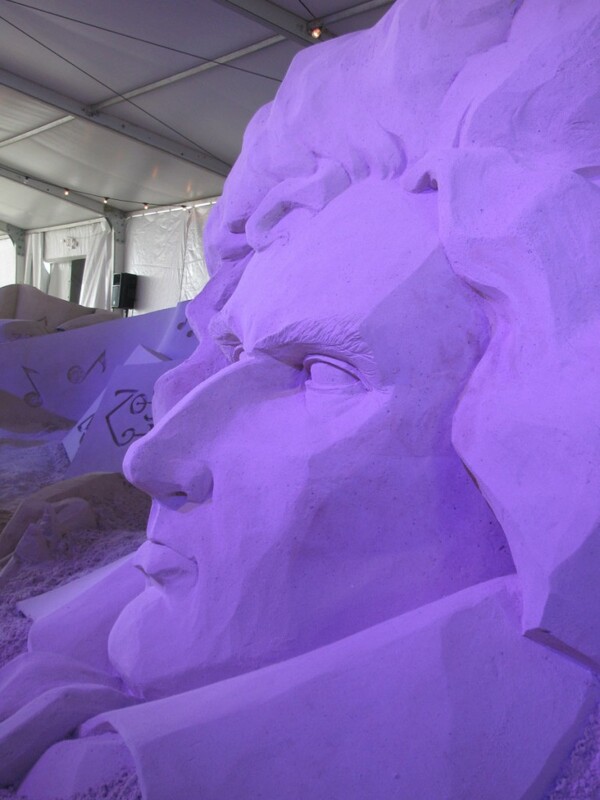 This year’s theme was the History of Music, with figures from the music industry and the musical genres portrayed in soft, white, Clearwater sand. The trail through the event is the beach itself, allowing visitors to dip their feet into the soothing grains while touring the show. Figures from Jimi Hendrix to Beethoven could be found along the trail, as well as time honored musical figures like the sirens from Greek mythology and portrayals of musical genres like bluegrass and big band music. 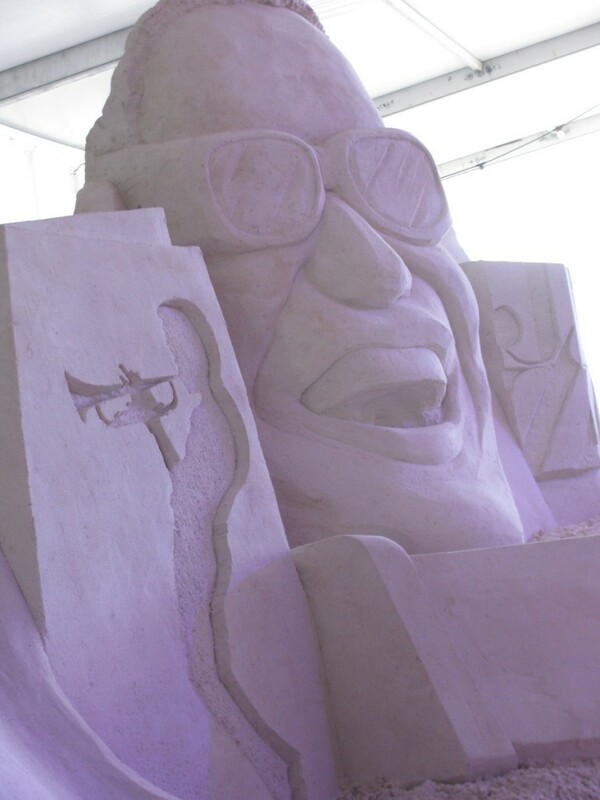 One of the sculptures received a quick change after the passing of the musician Prince, duly adding his figure to the sculpture walk. Wrapping up the walk was a tribute to music from the Clearwater Marine Aquarium that is a mere mile from the pier. This event seems to draw more people each year so if you missed it this time around there’s hope for next year. This event will be back. We look forward to seeing what the artists come up with next year as much as we enjoyed seeing their work this time around.